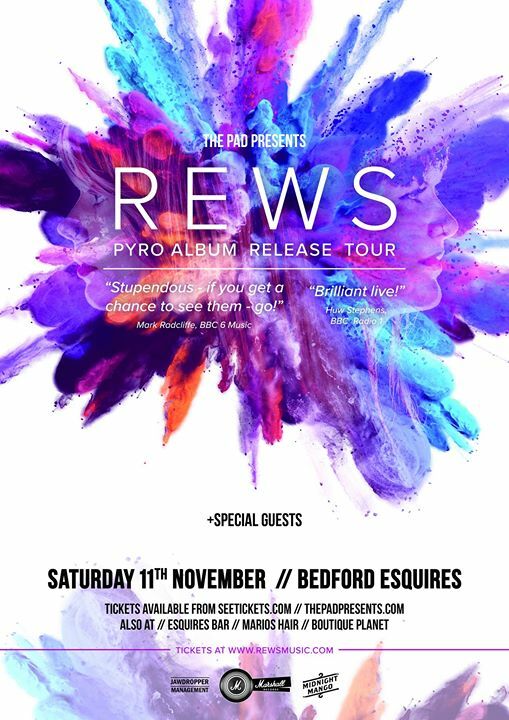 REWS is the London/Belfast based high energy pop rock duo consisting of songstress Shauna Tohill and vocalising beat-maker Collette Williams. Fresh from signing to Marshall Records in February 2017, their first release ‘Miss you in the dark’ was critically acclaimed by tastemakers such as Huw Stephens, making it his Record of the week. They played the John Peel stage at Glastonbury 2017, subsequently making huge waves in the industry. Their highly awaited debut album ‘Pyro’ is set for release in November 17′ through Marshall Records. REWS aim is to inspire people to be who they are, dance, sing, have fun yet address those deep issues that people face in every day life. It might just be your medicine!